Maybe I was wrong about the Tampa Bay Rays relocating to Montreal… or maybe not! Almost two years ago, I posted a blog entry opining that 2016 would be the last season that the Rays would play in St. Petersburg. Perhaps I was a little aggressive in my prognostication, some would say dreaming in color, or even as a reader from Tampa called me, insane! On Sunday November 6, Pierre Trudel tweeted that the Rays’ owner, Stuart Sternberg, had recently commissioned a feasibility study for a baseball stadium in the Griffin Town section of Montreal. Brian Auld of the Rays quickly issued a statement, yet did not refute the rumor. Canadian Press journalist, Frédérique Daigle, tweeted me that he tried to get information from the Rays and nobody was talking. Sternberg needed the permission from MLB to commission such a study. Fred Daigle also tried to get an answer from MLB… nothing. At some point, Commissioner Manfred or Sternberg will have to address this. If either of them respond with their usual hyperbole or not confirm nor deny, you can bet it’s true. The next question begs to be asked: How recent was this feasibility study? According to Trudel, very recently, a matter of only a few months ago. A few months ago? This is big. If true, this means that Sternberg, like Manfred, appear to be talking out of both sides of their mouths again. They both stated how Tampa is a viable baseball market, yet there is in all likelihood, a feasibility study for a baseball stadium in Montreal that was green lighted by Major League Baseball. You can listen to Trudel being interviewed (en français) by clicking on the banner below. Do I believe Trudel? You betcha! Pierre Trudel is Quebec’s version of Keith Olbermann, he gives it to you straight, no BS. Unlike journalists in the mainstream, Trudel has no affiliations; he can say what he wants. The mainstream journalists agree that Major League Baseball will be back in Montreal, expansion being the likeliest scenario. This is the more genteel position to take. Safe. Don’t ruffle any feathers. A mainstream journalist will never say that there is no hope that Florida tax payers will agree to shell out billions to fund a new stadium. Trudel, like me, is of the opinion that baseball will not work in Tampa, even with a new stadium. Silently, Sternberg and Manfred know this too. Sternberg is an entrepreneur. These guys can sniff out opportunities and he sees one in Montreal. Will Sternberg swoop in and relocate his team here in Montreal? It’s possible, very possible. He is also leveraging all the work of the prospective ownership group comprising of Stephen Bronfman, Mitch Garber, and Bell Media. Everything is in place to relocate now and from the point of view of an opportunity seeker – why not? The writing has been on the wall for many years in Tampa and even more so for 2017. The nebulous terms of the Rays’ TV contract and the so-called “good” ratings. If the ratings are so good, then why not renew the TV contract? The answer is simple. A TV contract in the Tampa / St. Pete region is crumbs compared to the billions waiting in Canada. Perhaps, the biggest indicator that the Rays are essentially a lame duck franchise is their ever depleting payroll. Brandon Guyer was due for a nice raise by way of arbitration – gone! The only notable payroll commitments in 2017 are for Evan Longoria, Chris Archer, and Logan Forsythe. Forsythe and his $7,000,000 salary for 2017, may well expect to be dealt. As for Longoria, the Dodgers will inquire on his availability. We shall see what the Rays plan to do with other arbitration eligible players due for hefty pay increases such as Erasmo Ramirez and Kevin Keirmaier. Keirmaier is the running for a second Gold Glove and will command big dollars and also big interest from other teams. Once again, I expect that Sternberg will order his baseball operations people to field a team under the constraint of a wafer thin budget. These actions are straight out of the Jeffrey-Loria-Leaves-Montreal playbook. This will not play well with the Rays’ fan base. More bad press for Sternberg . Furthermore, if there is no solid commitment to build a new stadium very soon, expect even smaller crowds at the Trop. Time will tell if, how, and when Sternberg and Manfred will address Trudel’s revelation. Copyright © 2016 BaseballPoutine.com. All Rights Reserved. Spring training has arrived. Pitchers and catchers reported last week and the remaining players will be reporting shortly in Florida and Arizona. As we get ready to host another pair of Grapefruit League games in Montreal, February also signals what seems to be an annual tradition of cranking up the PR machine and tell the baseball world of how worthy and deserving we are to get our baseball team back. Sure enough, we will get another 100,000 people jammed into Olympic Stadium. Commissioner Manfred will once again tell us how impressed he is with our level of excitement. Mayor Denis Coderre will continue to say, “Montréal est une ville de baseball.” and “Ce n’est pas de la nostalgie, c’est de l’ADN“. We know this Mr. Mayor. Enough already! Don’t get me wrong. Coderre and Warren Cromartie have done an exceptional job promoting the project and getting it along this far. It is time for the movers and shakers, the ones with the deep pockets and chequebooks in hand to take the forefront. Behind the scenes, Stephen Bronfman and Manfred have been speaking. Manfred has made it clear that the priority for 2016 will be to complete a Collective Bargaining Agreement with the MLB Players’ Association. Great idea! In Montreal, we have already been cursed by players’ strikes twice. Let’s get this out of the way. Make no mistake however. Platitudes sent our way about of how great Montreal baseball fans are has its limits. How many more years will we endure paying $200 for a pair of tickets to a meaningless game? My guess is one more. In 2017, we will celebrate Tim Raines’ induction into the Hall of Fame and another pair of games would be the perfect platform for this. OK, then what? Mr. Bronfman, if you happen to be reading this, it’s time to take center stage. The politicians and all the associated PR has runs its’ course. Rumors generated by journalists, bloggers, politicians, and others coming out of the woodwork will only cheapen the message. Mr. Bronfman, Montrealers are ready to back you up. What do you need? Seat licenses? Names on bricks? Deposits on season tickets? You know that we are behind you. 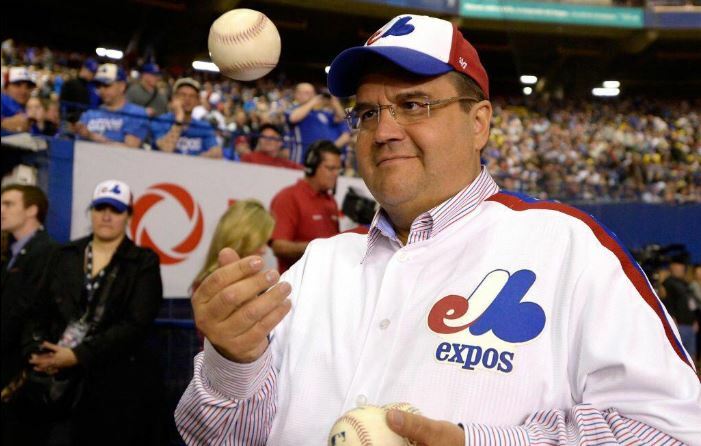 Earlier today, François Cormier tweeted that Montreal Mayor Denis Coderre will be making a baseball related announcement this coming Friday September 18. This motivated me to publish my first blog post in over five months. Merci François! The safe money says that Coderre will be announcing that the Blue Jays will once again be playing two Grapefruit League games on the eve of Opening Day 2016. I don’t know about any of you, but, have been there and done that… twice! I am done with shelling out $64 for tickets, nine-dollar beers, and another five bucks for inedible hot dogs, in the name of meaningless games. If this happens to be Friday’s good news, OK fine. However, I will leave someone else the chance to buy the 12 tickets that I did in each of the last two years. What I am really hoping is that the announcement will have to do with Montreal hosting regular season baseball games in early April. Are there hurdles to this happening? Certainly! Getting the Big O up to MLB code is the most compelling one. But we are Montrealers and we have gone this far in the journey to get our team back. We got this! It would make perfect sense if the announcement has to do with the Cleveland Indians “hosting” the Boston Red Sox for three games from April 4 to 6. There are many reasons why this would be a plausible scenario. Attendance in Cleveland has been dismal. Only the Tampa Bay Rays figure worse. It’s cold in April on the shores of Lake Erie. Games can be played indoors in Montreal. New Englanders travel well. People from the Boston area and Red Sox Nation love to travel to Montreal. I would not be surprised to see thousands of them show up for these three games. Fenway Park always plays to near capacity, even in April, so it will be easier to score tickets for Red Sox games in Montreal. The Red Sox have a fan base in Montreal. When we lost the Expos, Montreal baseball fans were looking to adopt a new team. Many Montrealers began to support the Red Sox in lieu of the Blue Jays. The weak Canadian dollar vis à vis the greenback obviously means Americans’ tourist dollars will go a lot further. More money for beer, smoked meat, bagels, and night life. Having games in Montreal supports Commissioner Manfred’s mandate broaden the game’s profile internationally. There have been regular season games in Tokyo and Australia. Montreal? Pourquoi pas? Tito. By all accounts, Terry Francona will be back as the Indians’ manager. 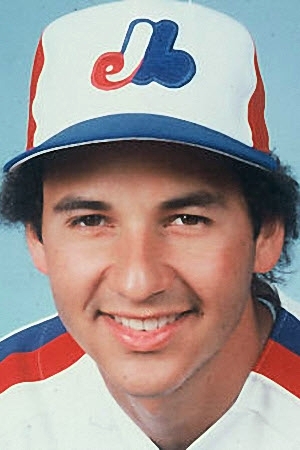 Tito was a popular player when he played for the Expos. It’s a shame that his career was cut short due to injuries. Francona may not receive the same ovation as Raines, Carter, or Dawson, but he was still part of the 1981 NL East Champion team. Last but not least… MONEY! Three regular season games played at Olympic Stadium means 120,000 to 150,000 people passing through the turnstiles and that’s like 10 or more games in Cleveland. Here’s hoping for some really, really good news on Friday. Once again, Montrealers responded in great numbers: another 96,000 people attended the games on April 3 and 4. This year was a little different in that lots of buzz had been created over the winter. There was lots of news from St. Petersburg, mostly bad, and lots of news from Montreal, mostly good. In an interview with the Associated Press, Commissioner Rob Manfred stated that the attendance at the two Spring Training games would be an important litmus test for determining a city’s viability to obtain a MLB franchise. Manfred also stated that the game is looking to expand internationally, namely Canada and Mexico. Canada, you say, Mr. Commissioner? There are currently no imminent plans for expansion and no team is available for relocation. If you are an Expos fan, this statement was like Warren Cromartie snagging that line drive in 1981 clinching the Expos’ first berth into the postseason. More great news came from the mouth of Montreal Mayor Denis Coderre. 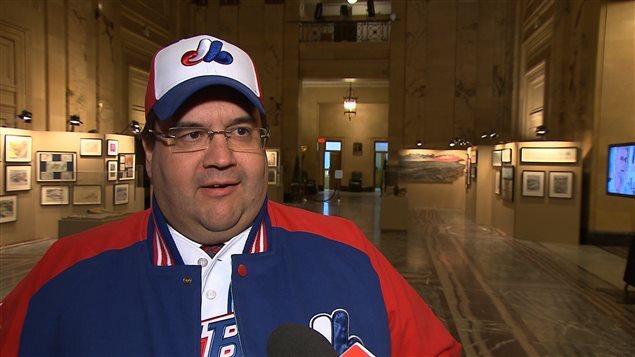 In a discussion during Friday’s game with Rodger Brulotte and Jacques Doucet, Coderre announced that a meeting has scheduled between himself and Manfred. The meeting will take place in May in New York. Manfred will state that the Rays are not available at the moment, but sight tight Denis. Stu needs to fully play out his options in St Pete. Manfred does not need to see shovels hit the dirt for the new stadium but wants to see with his own eyes an executable plan to make it happen. “Don’t worry Denis, you will get your team in five years, as long as you have a plan for a new baseball stadium.”, Manfred will conclude. “Ben oui. Ben oui. Inquiètes-toi pas, mon Rob. We have a plan.”, Coderre will confidently state. Manfred will state that Sternberg is ready to make the call: 2016 will be the Rays’ last season in St. Petersburg. Stu will make the announcement the day after the 2015 World Series. Sternberg has exhausted all options in the Tampa / St. Pete area. Six years of kicking the can down the road for the new stadium is enough. Sternberg will obviously not renew the TV deal in Tampa. “Denis, we need to double check the legalities, but we need your support to host as many 25 of the Rays’ home games in 2016.”, Manfred will say. “Ouais, like San Juan in 2004, you mean?”, asks Coderre. “Denis, right here, right now, tell me we can have a new stadium built in time for the 2019 season. You can play for two seasons in that shithole but no more than that.”, Manfred will demand. “Tab***! We are getting a team? OK. OK. You already know who the business partners are. We can also make the announcement for a major infrastructure investment that includes the baseball stadium whenever the time is right.”, says a teary-eyed Coderre. Copyright © 2015 BaseballPoutine.com. All Rights Reserved. Today and Saturday, April 3 and 4, Montreal will host two spring training games between the Cincinnati Reds and the Toronto Blue Jays. There appear to be more than 90,000 tickets sold for both games and despite it being Passover and Easter, I would not be surprised if that figure went to 100,000. That’s great! There will be thunderous applause for Russell Martin, Vladimir Guerrero, Orlando Cabrera, and others. Both teams will field what should be their opening day lineups so the quality of baseball should also prove to be entertaining. After the final out is recorded on Saturday, and the Reds and Jays start their season, as Montrealers, we have to ask ourselves: OK, what’s next? By next, I don’t mean “I can’t wait for two more spring training games next year” and repeat the fun we had in 2014 and 2015. Montreal is not a carnival stop for Major League Baseball. I am not so sure that the fans will continue to pay $89 for tickets to meaningless games indefinitely. I don’t believe this line of reasoning is sustainable. So again, I ask, what’s next? Cromartie, as the mouthpiece for Montreal Baseball Project, preaches, taking it slowly. Yesterday, in an interview, Mayor Coderre interrupted a reporter and said, “… on se calme…”, further stating one step at a time. One step at a time is fine but the pace needs to be picked up. There have to be more concrete steps towards bringing back a team here. A season ticket drive à la Las Vegas for the NHL would be quite timely, for example. The fan base is not asking names to be made public, we get that. However, greater momentum is the order of the day. In my very first post, I talked about the stars beginning to align. Well, guess what? The stars are aligned and it’s time to kick the project into overdrive. Team availability – The greatest opportunity for Montreal to get a team is for the Rays to move here. That’s the cold, hard truth. Sternberg is dragging his feet in Florida. He clearly does not want to keep his team in St. Petersburg, or Tampa, for that matter. Ownership – Coderre and Cromartie are clear on the fact that an ownership group is in place, solide!, says Coderre. Political Will – We have an ambassador at the municipal level and a provincial government in power that will stay out of the way. This very good political climate has a shelf life: 2018. Quebecers are a fickle electorate and I would not be surprised to see the Parti québecois in power in late 2018. How much positive energy can we expect from a sovereignist government towards Montreal? Can we afford this needless distraction? The Stadium – Again, Coderre is clear that he wants a stadium near the water. A project, financed by the Caisse de dépôt, that would include the Pont Champlain, a new baseball stadium, and a light rail system, makes perfect sense. 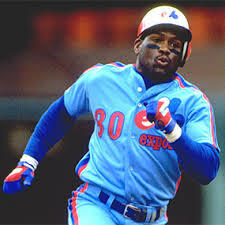 Major League Baseball will return to Montreal, one day, I am 100% convinced of this. I have given the opinion that the Rays will leave St. Petersburg by the end of the 2016 season. Now that the stars are aligned. it is possible the Rays will be relocated to Montreal as early as the 2017 baseball season. Aggressive but possible. One thing is certain: If we don’t start turning soil for a new stadium by 2018, we need to be realistic and hold off on the Expos’ return until at least 2028. I though that with the calendar flipping to February and being in the deep freeze, I would be early out of the gate with some predictions on the upcoming 2015 baseball season. We can look back in October and have a laugh on how terribly off the mark these predictions were. Red Sox 90 72 Close rivalry between Red Sox and Jays right down to the final week-end. Team chemistry uncertain. Rays 70 92 Top quartile quality pitching and no offense to speak of. Too many off the field distractions. Tigers 89 73 David Price is in a contract year, Miggy wants another Triple Crown. Others will follow the leaders. Royals 84 78 Royals will be riding high but no match for the Tigers. Ned Yost is a master of doing more with less. Twins 70 92 Before the Twins become relavant, they need to spend money on pitching. Mariners 91 71 The time has come for the M’s. King Felix and robust offense will propel them to a WS berth. Angels 90 72 Questions on Pujols, Hamilton. Young pitchers and timely hitting will carry the team to a wild card spot. Athletics 81 81 No idea what to think of Beane’s many off-season moves. I am still dizzy. Yes, I pick the Blue Jays to win the AL East over the Red Sox. It’s now or never for the Jays as a number of their key players will be in their final contract year. 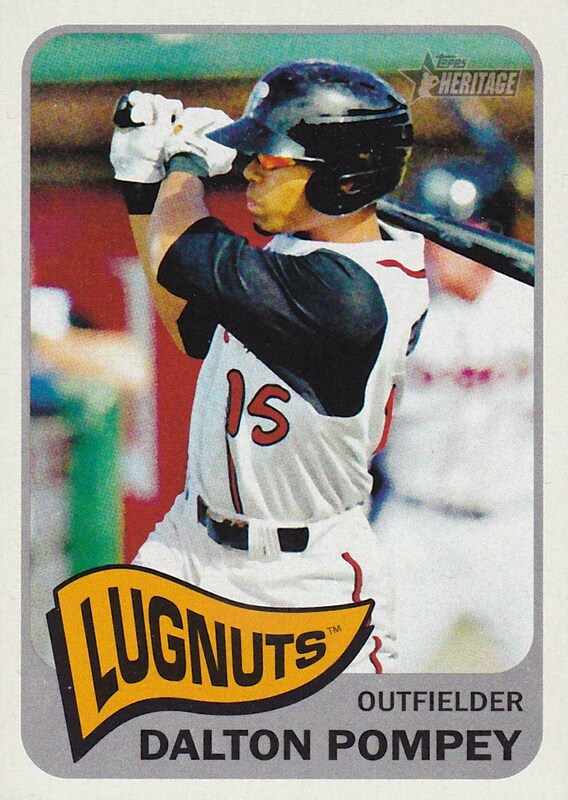 Dalton Pompey is also my early pick for AL Rookie of the year. I am also not certain how all the additions in Boston add up to extra wins and I question team chemistry with all the big stars added. In particular, Hanley Ramirez has proven to be a distraction when he played in Miami and his soft defensive play in Los Angeles cost his team some wins. David Price will win the AL Cy Young, and together with Miggy, will propel the Tigers to an AL Central title. Price will be dominant in his contract year and Miguel Cabrera will return to Triple Crown form. The Royals and the White Sox should hang around in contention for most of the year. I pick the Mariners to win the AL West, the AL Pennant and the World Series title. Cano will win the batting title and King Felix will be his usual self. All other players surrounding Cano will perform to their highest level of ability. I did not feel that the addition of Nelson Cruz was necessary, the Mariners will win regardless. Nationals 93 69 Pitching, timely hitting, and a great manager in Matt Williams: that’s how you spell Champs! Marlins 86 76 Good enough for a wild-card! Marlins’ outfield is the best in baseball. Will be fun to watch. Mets 79 83 Mets fans will be crying for more offense. Starting rotation will shine. Braves 75 87 Like many teams, Braves stocked up on pitching. Who’s swinging a bat besides Freeman? Phillies 66 96 Chase Utley can’t do it alone. Basement dwellers, Phillies will lead the league in home town boo’s. Cardinals 92 70 Majors’ best run organization. Matt Holiday will be contending for the batting title. Pirates 82 80 Aggressive in my prediction of Polanco and young pitching. Losing Russell Martin was a big blow. Brewers 80 82 Ryan Braun will have a Nelson Cruz like year. Pitching is a question mark. Giants 95 67 No Sandoval? No problem! Will dominate but since 2015 is an odd-year, Giants will not advance to World Series. Diamondbacks 69 93 I don’t understand Tony LaRussa’s role on the D’Backs. Team will be oversahdowed by Big Unit’s HOF inducton. In the NL East, no surprise, the Nationals will finish first. As I write this, their starting rotation will feature Scherzer, Zimmermann, Strasburg, Gio Gonzalez and Doug Fister. The Nats also have some nice offensive pieces, but I feel will come up short again in the post-season. I really like what the Marlins did over the offseason. They added key players like Mat Latos, Ichiro, and Dee Gordon without breaking up the best outfield in baseball. They would have been a more serious contender to win the NL East if Jose Fernandez was available on Opening Day. The Cardinals will win the NL Central and move on to the World Series only to lose to the Seattle Mariners. Mike Metheny and the front office have built a great team with the perfect balance of team chemistry and budget. The best moves they made were the ones they did not make: not going after Jon Lester or not resigning Albert Pujols. 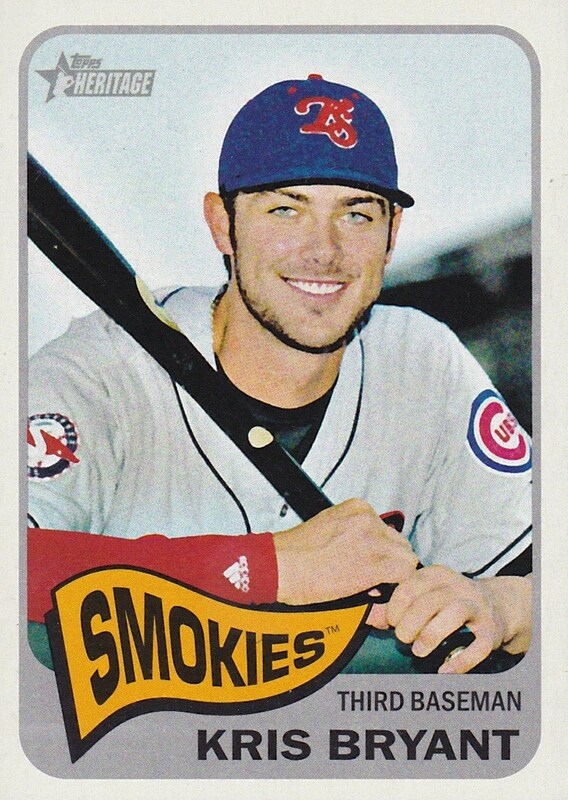 The Chicago Cubs will be a fun team to watch and likely occupy most of my time mlb.tv. Kris Bryant, the 2015 NL Rookie of the Year, and Jorge Soler are the real deals. The additions of manager Joe Maddon and ace Lester will teach the youngsters a winning attitude. Watch out for the Cubbies in 2016! In the AL West, the San Francisco Giants should win over the Dodgers. The difference will be the number of games Bruce Bochy will out-manage Dodgers manager Don Mattingly. With a $265 million payroll, if the Dodgers are not in first place by the All-Star Break, look for Tim Wallach to replace a fired Mattingly. What impact does a sinking loonie have on the return of MLB to Montreal? In the last month, we have seen the Canadian dollar, or the loonie is it is known here, go for a deep dive with no bottom in sight. The loonie is at its lowest point since the Great Recession of ’08-09. Since that point, it has enjoyed being above or near parity until recently. As I write this, the loonie is trading near 78 cents compared to the US Dollar. How low can it go? For those of us longing for the return of major league baseball to Montreal, we cannot help but ask: Will a falling Canadian dollar hurt our chances to not only get a team, but ensure its’ viability? I think that this is a legitimate question. It goes without saying that a Canadian team’s payroll will be paid in US dollars. So at the outset, Canadian teams are at a disadvantage with a sub-par loonie. On the revenue side, revenue sharing, the team’s percentage of gate receipts during away games will be paid in US dollars. Also in US dollars will be any revenues derived from streaming media such as mlb.tv. Gate receipts, revenue from concessions for home games will be in Canadian dollars as well as any revenue from Canadian broadcasters. Canadian teams in other professional sports have and will continue to live through fluctuations in currencies. A sinking dollar by no means spells the end of baseball dreams in Montreal. Do not think for a moment that any would-be ownership group is not aware of this. Like any other business, you have to consider any external factors that are beyond your control and plan accordingly. Business plans will change as any internal and external factors change. How low can the loonie go? Some have pegged it at 71 cents by the end of 2016. It’s easy for these geniuses to make such assumptions when a currency appears to be in free fall. I have always believed that the loonie’s “natural” exchange rate to be 75 cents compared to the US dollar. For the last several years we have all enjoyed cheap trips south of the border and that will no doubt change. The stronger loonie was mainly due to high oil prices and to some extent a weaker American economy. Now the Americans got their mojo back and the price of crude oil is falling. 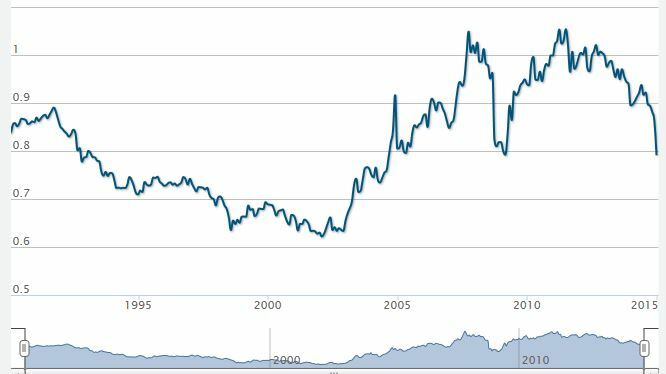 To me, this is the “perfect storm” for a falling loonie and also simply the return to “normal” with respect to where the Canadian dollar should be valued. So fear not Montreal baseball fans, there will still be plans for a MLB team to land here at some point, regardless of the state of the loonie. When there were solid plans to build a baseball stadium here in the early 2000s, the loonie was worth about 65 US cents. The exchange rate was not the factor to why we now see condos in the place where a baseball stadium should have been. It was a myriad of other factors, mostly political. Forget about the exchange rate and on April 3 and 4, go watch our native son Russell Martin and the Toronto Blue Jays play the Cincinnati Reds at Olympic Stadium. Contrary to what I said in a previous post, the are still tickets to be had. You can get tickets for as little as $22 on the evenko.ca web site. Let’s fill up the Big O and show Rob Manfred, MLB’s new commissioner, that baseball is in our DNA.